Designing a line using fashion blanks will save you money, time and the future of your clothing brand. Take advantage of the latest fashion trends using apparel blanks, and use it to build your brands equity. It’s important to know your clothing brands target market so you as the creator can know what price point your brand should be at. Utilizing fashion garments will help you charge a higher price point, but only if your audience is open to paying what you are charging. Throughout this video we touch on these key points, and then show you how to utilize this information to start and grow your clothing line. In this video we show you how to start a clothing brand using fashion blanks. Allowing you to focus on the designs of your brand, and not have to spend thousands on manufacturing your own products. We discuss clothing brands in the market and review some of their styles and show you how to source and create your own designs. Starting a clothing line and designing your own brand has never been easier with the use of wholesale apparel. Use this information to design your own fashion collection and launch your brand. 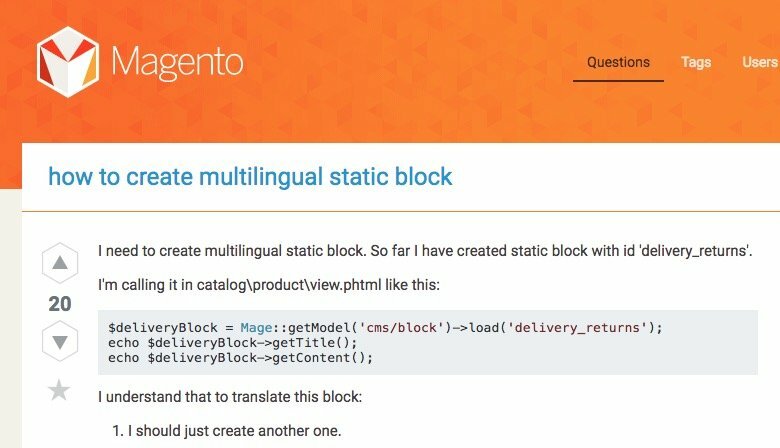 I need to create multilingual static block. So far I have created static block with id ‘delivery_returns’.